Milam’s Tree Service has been providing tree related services to the good folks of Georgia for over 20 years. 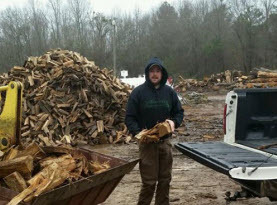 Being fully licensed and insured, we have been proven to give customer satisfaction and are now the highest-rated tree service company in Georgia. Servicing residential homes, commercial businesses and industrial complexes, Milam’s Tree Service comes through with fast and efficient results. Our team members are experienced and well trained in all services we offer. To many of the locals in McDonough, Jackson, Hampton, Jonesboro, Fayetteville, Henry, Clayton, and Fayette Counties of Georgia, trees are an important addition to any yard, garden or landscape. Offering beauty with their leaf variations, and blossoms in many cases, some provide sweet sustenance in offering fruit, and nuts, where others offer shade for hammock lounging, swinging, climbing and picnics. No matter what way you want to look at it, trees definitely have their offerings and uses. But when a tree is seriously infected, destroyed by weather conditions, or has died of other causes, it can quickly turn into a safety hazard. That’s where Milam’s Tree Service comes into play with our emergency tree removal service. Dying or dead trees are not the only examples of trees that require professional removing, but so do trees encroaching on buildings, electrical structures, plumbing and other such potential hazards. Attempting to remove the tree on your own is not only a great safety risk to you and other people, but a tree not removed by a professional can cause costly damages to your home, vehicle or other property. 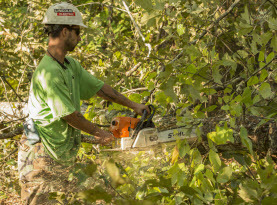 Milam’s Tree Service experts are well established in the industry with advanced training. 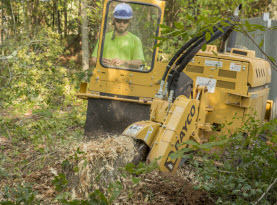 With years of experience, along with ongoing training to new modern technological advances, our talented professionals can remove unwanted trees from your property quickly and efficiently. With our affordable rates, and exceptional results, Milam’s Tree Service will be the number you call when you are in need of tree services, be sure to save our contact information in your phone for conveniently scheduling. Milam’s Tree Service also includes emergency tree removal services to the residential homes, commercial businesses and other facilities. After Mother Nature gives Georgia locals a grand show, you can safely bet that lightning and severe winds and rains have claimed a few trees in their wake. Often in the disarray, limbs and trees can be left hanging in perilous situations. If not immediately removed, these trees can cause extreme damage or serious bodily harm. This is a perfect example of when Milam’s Tree Service emergency tree removal service is needed. 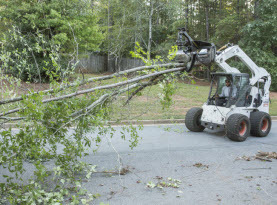 No matter the circumstances, if you find that your commercial business, industrial facility, or residential home is in need of tree removal or other quality tree related services, call the best in business, Milam’s Tree Services. Our friendly staff can schedule you appointment and with the aid of highly trained experts combined with exclusive professional grade equipment, tools and products, you will get premium results.